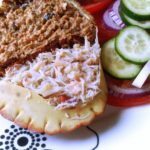 How to prepared dressed crab: I remember the first time I realised just how therapeutic cooking and creating in the kitchen can be. It was the moment I was presented with a crab, a Cordon Bleu recipe and asked to ‘dress the crab’. 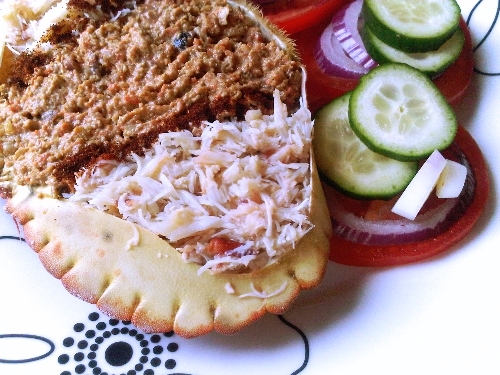 Dressing a crab is time consuming but often in my restaurants I found that it was received gratefully. 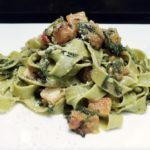 As if those who chose it from the menu realised that a great deal of work had gone into preparing it. So now it’s your turn to have a go. 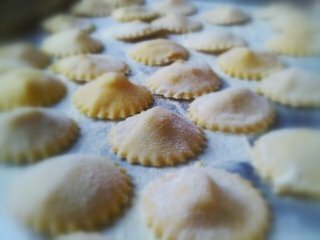 So let’s have some therapy time in the kitchen. 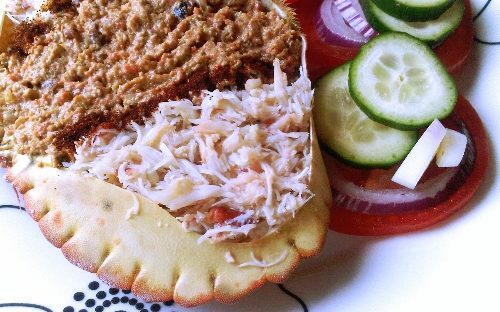 It’s time to dress a crab. 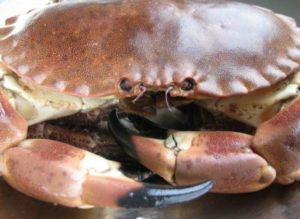 Below we have a photographic guide for you and hope that it helps 🙂 Oh, by the way, I dressed my first crab at the age of 12 … so no excuses!! 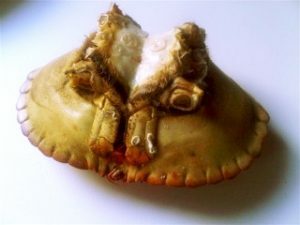 Put the crab on its back on a clean work surface, so that the claws and softer body section face upwards, then simply twist off the legs and claws which will come off very easily. Then set them to one side. 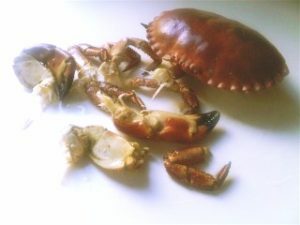 With the crab still on it’s back and legless (so to speak), pull out the centre body section from the main shell. 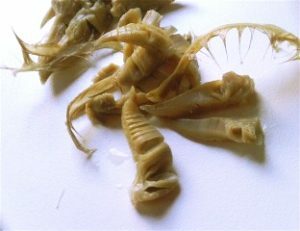 From this centre you have just removed, remove the long greyish-white pointed ‘dead man’s fingers’ and discard. 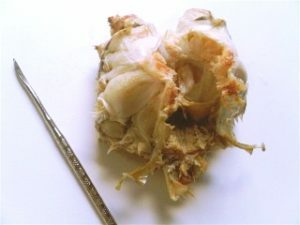 What you have left is a body section full of holes where the legs used to be. Pick out all the white meat that you can find and place it into a bowl. 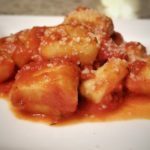 Using a nut cracker, open up the legs and remove all the white meat from them too and place this in the bowl with the rest. Now for the main shell section. 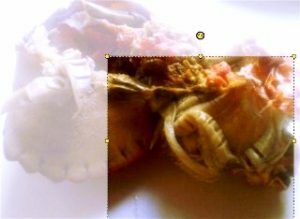 Remove the small greyish pieces just behind the mouth of the crab and discard. Then remove all the ‘red meat’ into another bowl. 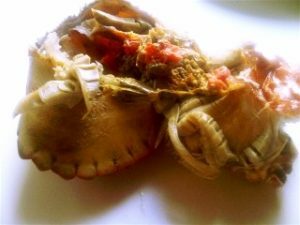 We use the shell to serve the crab. 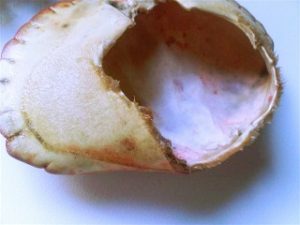 On the underside of the main shell, you will see lines running from the mouth to the tail of the shell. Press you thumbs gently onto these sections and press until they snap off. 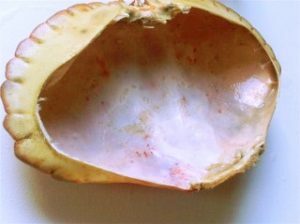 Discard those pieces then wash and dry what is left of the main shell. Using a fork, separate any lumps of white meat. 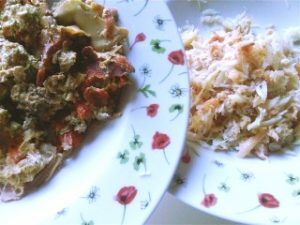 Add the breadcrumbs, cayenne, mayonnaise and tomato puree to the red meat and mix to combine. 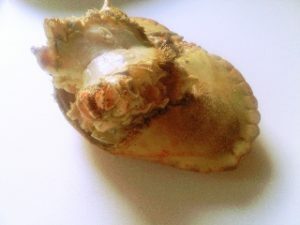 Now arrange the red meat along the centre of the shell and the white meat along the edges. Separate the edges with a line of paprika. 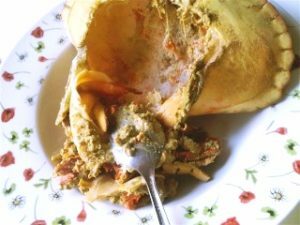 You will probably have some red meat left over until you want to pile it into the shell. I always have a hard time getting the crab’s pants on.